Do-it-yourself repairs are certainly not new. Home and garden shows and networks (HGTV and The DYI Network) have glamorized being handy. That’s not necessarily a bad thing, however, in an effort to save money, the DYI option could backfire. Some projects could actually cost additional time and may be more headache or/and danger to your personal health and safety. Here are 3 areas home owners should call in the professionals. ANYTHING plumbing that pertains to Potable (sanitary) water and the waste lines (AKA – Sewer System). Your plumbing system distributes safe drinking water. You also use this water to prepare food. Complex pressurized water systems can include welding (copper pipes) and special pipe-fitting. Once the water is used it must be discarded. Waste line repairs are not only yucky but in some jurisdictions may be subject to municipal inspections and/or permitting. Leave repairs to your main plumbing system to a Pro. ANYTHING electrical. This is a HUGE no-no zone to the DYI expert. It’s true, electrical work seems rather simple on the surface. Caution! – Things can get dangerous and complicated quickly. So if you find yourself standing in front of an open panel of wires wondering which one connects where you should STOP and leave the electrical repairs to a Pro. Garage Door Repairs. This is the largest moving object in your home. 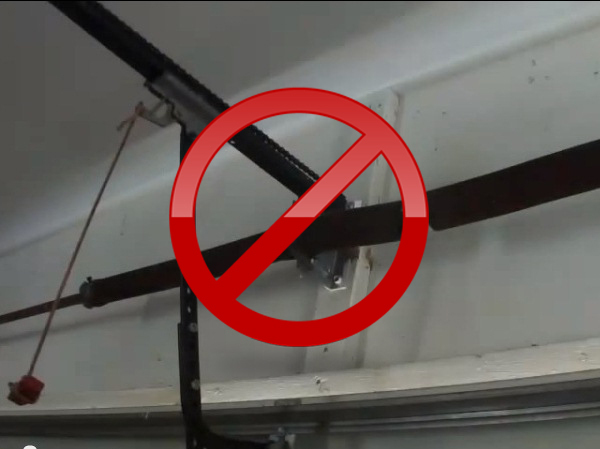 Garage doors are heavy and cumbersome, most have complicated springs, cables and pulleys are under extreme tension. Serious injury can occur if you either deliberately or accidentally loosen or remove the wrong part. It’s OK to maintain safe operation of the door, but leave garage door repairs to a Pro. Grab a cup-o-joe and listen to married hosts Mark & Theresa as they interview DIY experts and celebrities, share how-to tips, and more on MyFixitUpLife. From demo to decorating, they’re breaking down the DIY dilemma with a few of your favorite experts. DIY Network’s Mike Holmes shares how he tools up Holmes Makes it Right sites to keep them safe and movin’ at full-tilt boogie speed. Restaurant Impossible designer Taniya Nayak will dial us in on when it’s best to DIY or hire a pro…and ‘Roger That!’ hosts and designers Roger Stout-Hazard and Chris Stout-Hazard give get-it-done advice for going all-in or subbing it out. Check out this example of the type repair you’ll want to leave to a Garage Door Repair Professional! This work is risky, but the risk is comparable to doing your own car repairs, or climbing on the roof of your house to clean your gutters. These are dangerous things that many people can do safely, but that safety depends on intelligent understanding and application of proper techniques. But I say…leave this one to the Pros! Before you go know that over 700 reports of the surge protector listed below has been recalled for overheating and melting and 55 claims of property damage from smoke and fire, including $916,000 in fire damage to a home and $750,000 in fire damage to a medical facility. There are 13 reports of injuries, including smoke inhalation and contact burns from touching the overheated surge protectors. Click the link inside my twitter embed and hit the Follow My Tweets button!